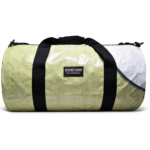 Whether it’s a jaunt downtown or a journey abroad, join the travel savvy elite by toting eco-friendly gear. 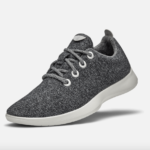 This B-corporation uses significantly less energy to produce footwear from ZQ-certified merino wool and castor beans. Men’s, Women’s and Kids shoes available. 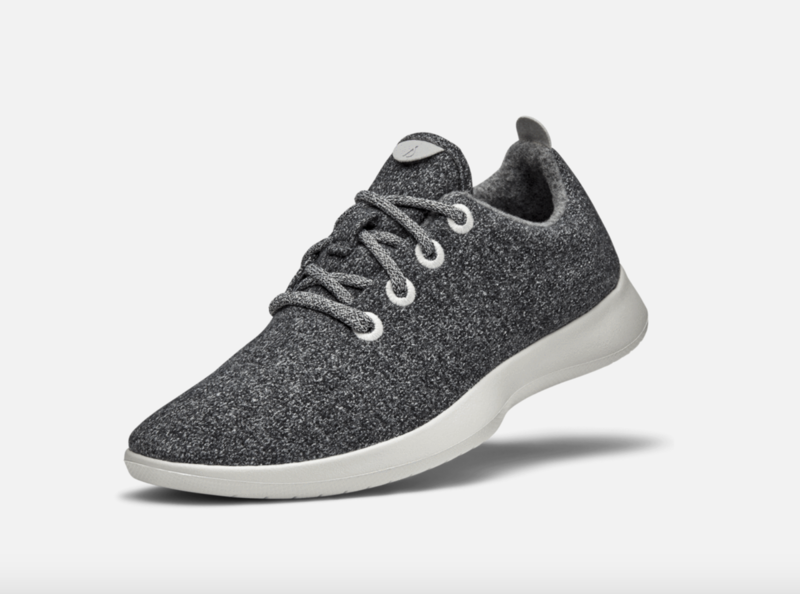 Pictured: Women’s walking shoe, $95, Allbirds.com. This flashlight runs on a rechargeable battery that’s hand-cranked—saving countless batteries from being tossed into landfill. 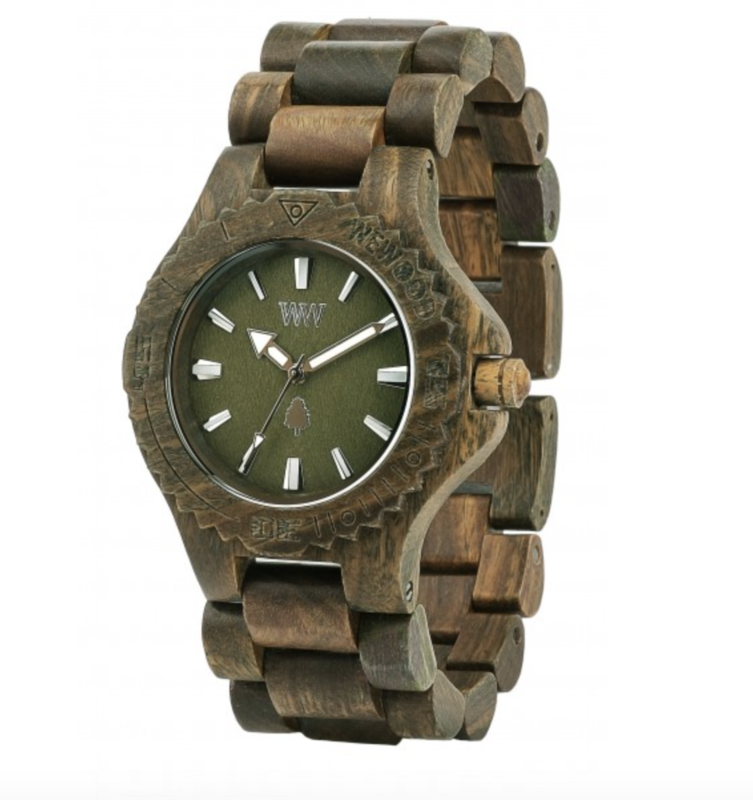 An eco-friendly, fashionable line of watches created from reclaimed and recyled wood and materials. 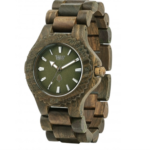 Pictured: Women’s “Date” watch in army, $130, We-Wood.com. 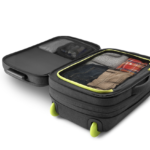 This company takes vinyl billboards and repurposes the vinyl into a plethora of carrying devices. 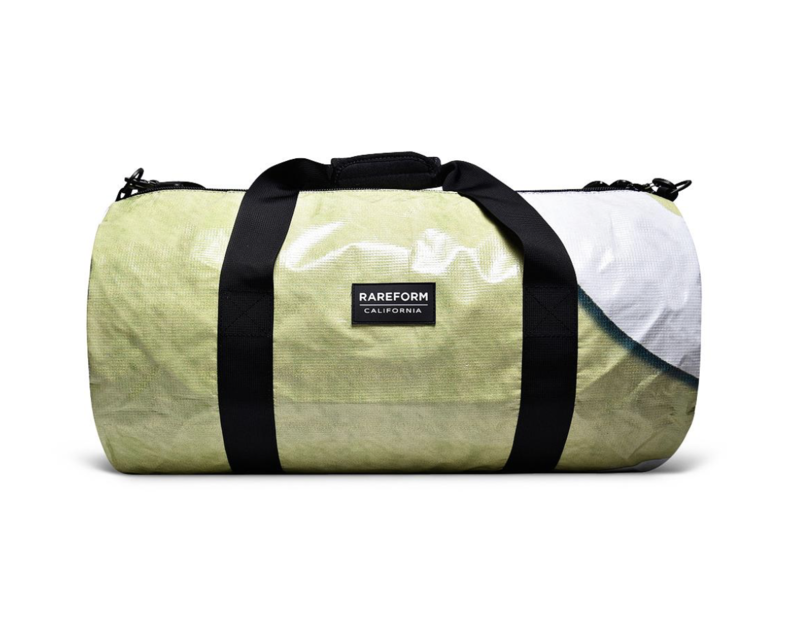 Pictured: Weekender Duffle, $64, Rareform.com. Clothing that’s made entirely out of recycled materials. 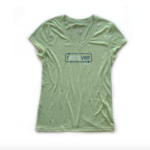 Men’s, Women’s, Youth and Accessories available. 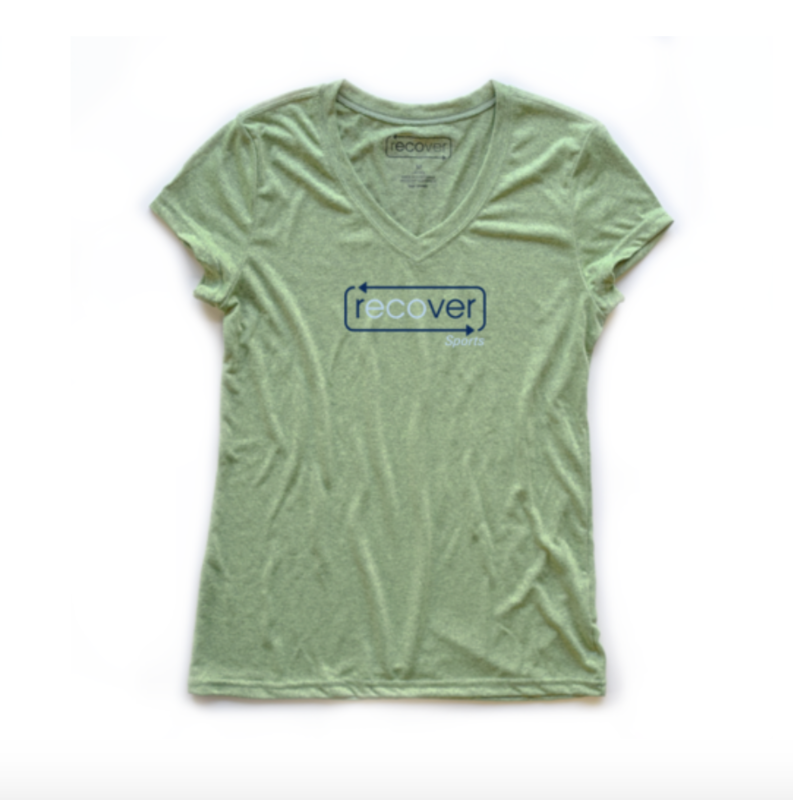 Pictured: Women’s V-Neck Recover Sport Tee, $29, RecoverBrands.com. 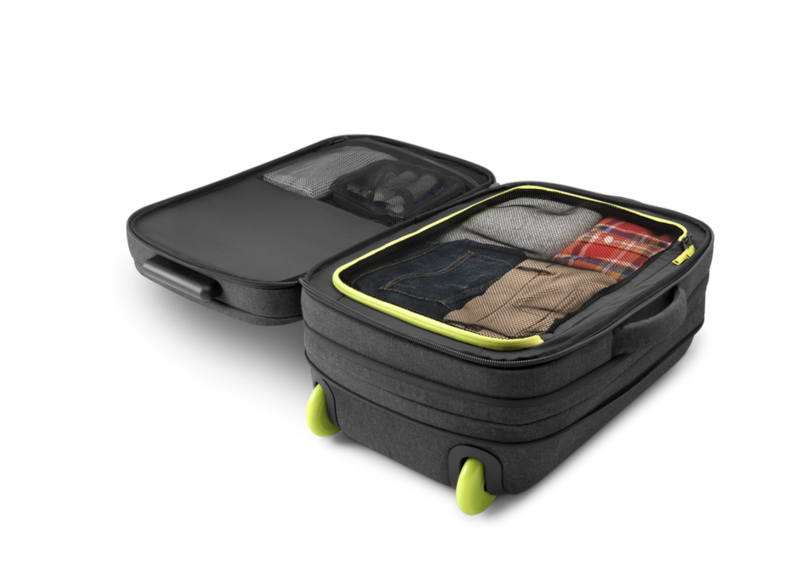 Incase collections are made of an environmentally-friendly material, called Ecoya—eco-dyed yarn—which conserves the release of CO2 and COD compared to typical textile fabrication methods. 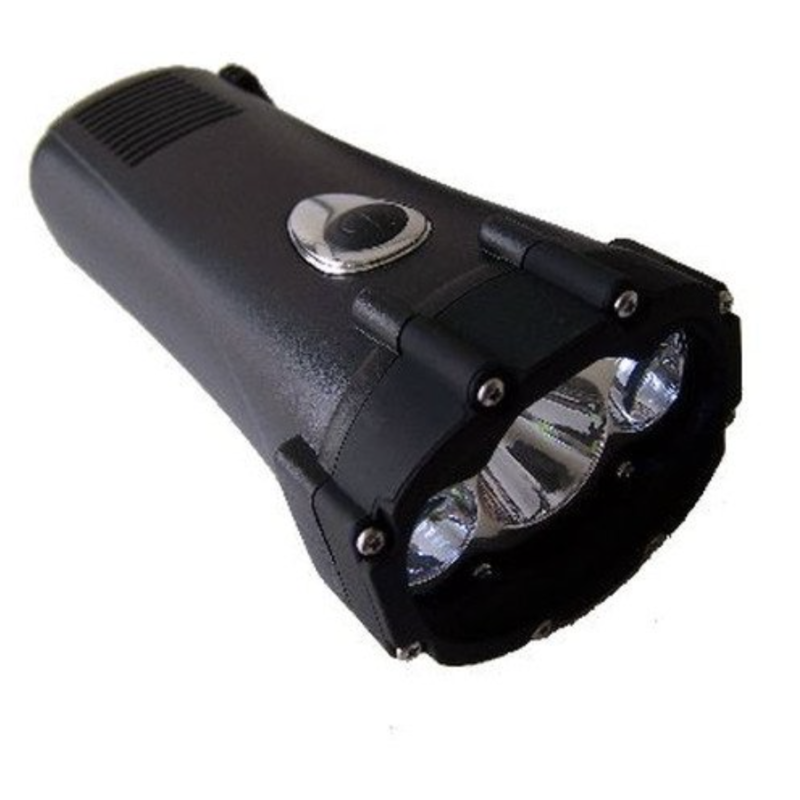 Pictured: EO Roller, $300, Incase.com. 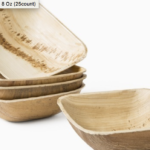 Joanne Hudson carries a stylish line of biodegradable disposable dinner ware by WASARA. 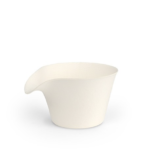 Pictured: Coffee cup, $10 for a set of six, JoanneHudson.com. 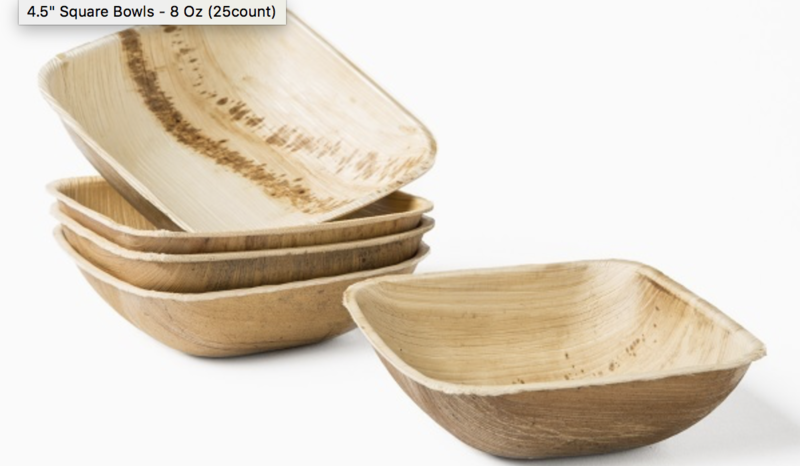 Hand crafted from fallen palm leaves; no chemicals or binders, and fully compostable. 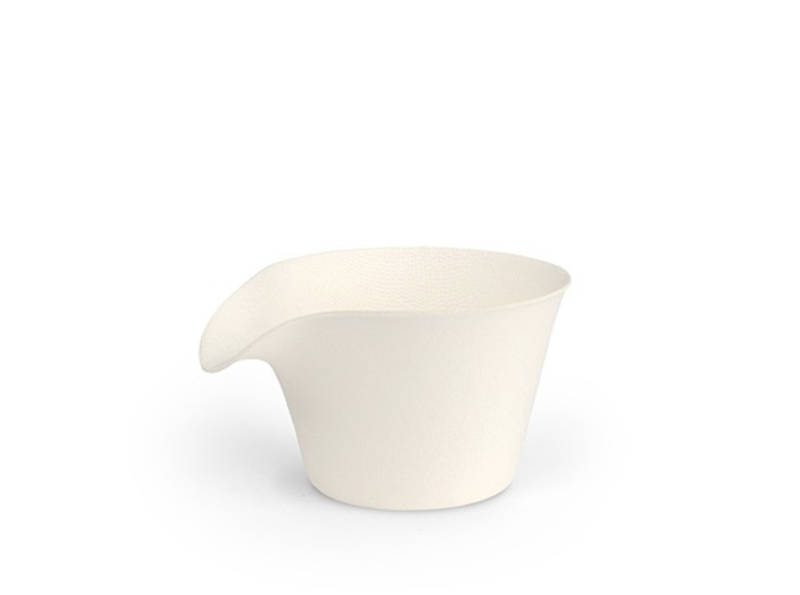 4.5″ Square Bowls – 8 oz, $15 (25 count), LeafWare.com. This toothbrush is nearly 100% biodegradable with its bamboo handle, nylon bristles, cardboard box (there is a polypropylene inner wrapper). 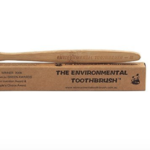 The Environmental Toothbrush, $7, Amazon.com.